I am one of the main characters in the documentary National Parks Adventure along with my friends Conrad Anker and Max Lowe. You can watch now watch it on Netflix!! 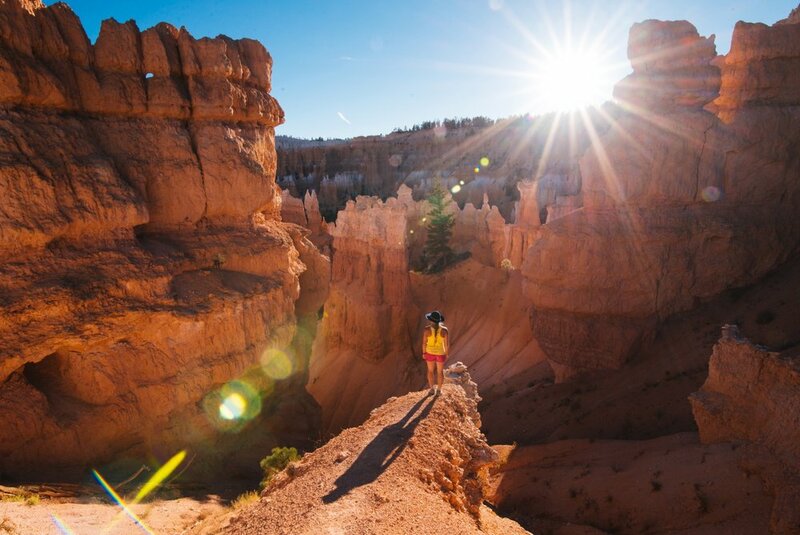 The film is a fun and breathtaking celebration of our Parks and the quintessential American road trip. You can watch the trailer here. 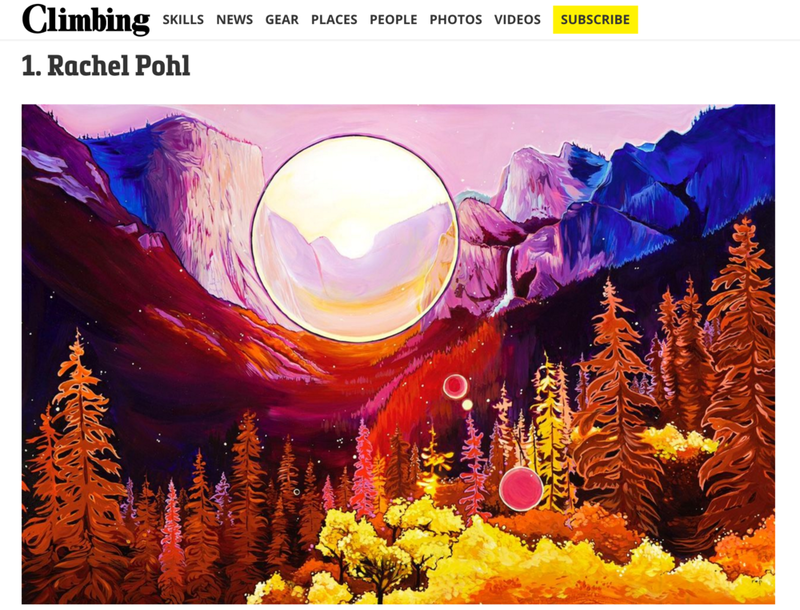 I am pleased to be part of Climbing Magazine's "8 Climbing Artists You Should Know" alongside some of my favorite mountain artists!! 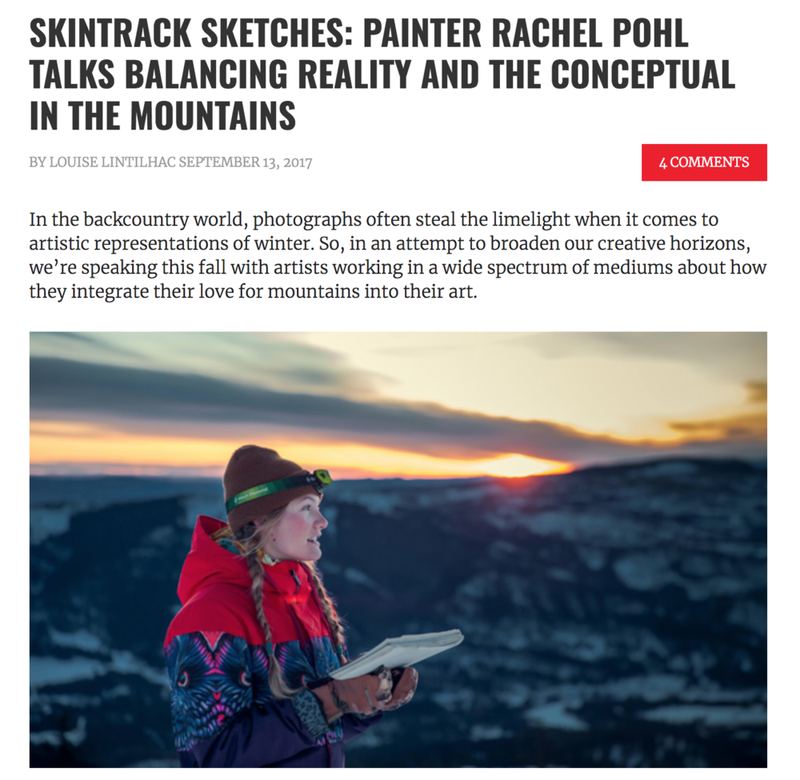 I caught up with Backcountry Magazine, to talk a bit about my artwork and approach to life and painting. Last winter was an unusual one for me, so here is a story I wrote for the Voile Skis blog about what it means to slow down and be grateful for the times we are able to venture out. 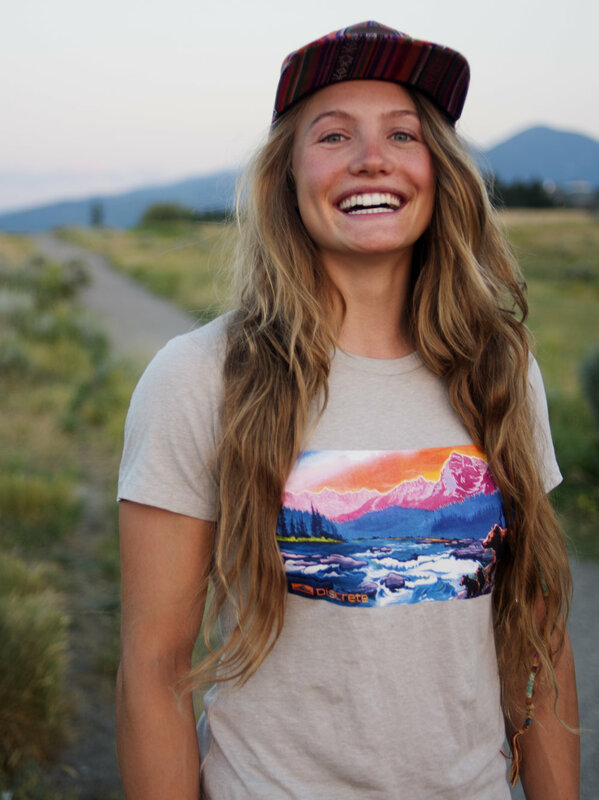 My friend Leslie wrote this article about my work and skiing for Teton Gravity Research. Here is a fun interview I did at one of the National Parks Adventure premieres. The film is know internationally as America Wild. This short film shows how I take a day in the mountains, and turn it into a work of art. 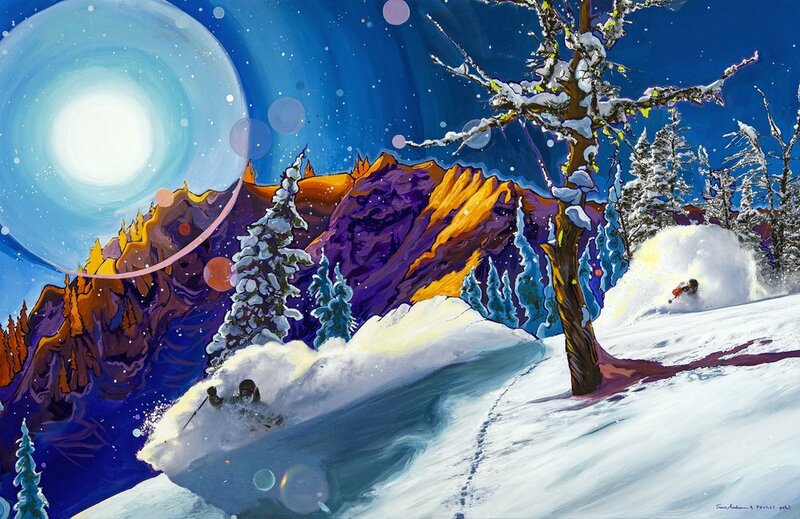 You can watch "Alpenglow" by clicking here. I am delighted to show and sell my work at Altitude Gallery Bozeman!! If you are ever in my home town, it is well worth the visit to this great space on Main Street! !